Timers are a very flexible way to track your time and margins When you work. A timer does not require any information to get started - just give it a name and start timing! 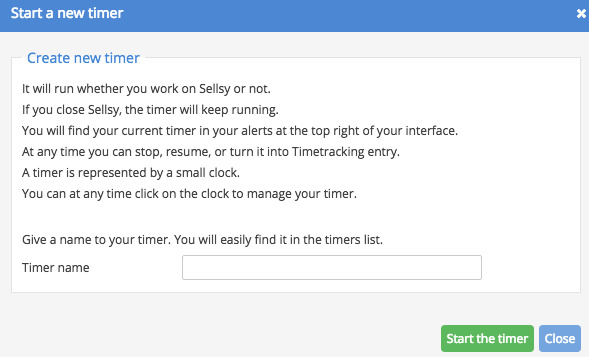 To create a timer, click the timer icon from the Time tracking menu and choose and then Start a timer. Your timer will immediately begin timing. You can stop it by clicking Alerts on the icon on the top of your interface. At any time, you can break your timer. You can use multiple timers and switch from one simultaneously to the other very easily. When your timer is finished, just click Stop and Save. Then, you can add your information as a time tracking entry. 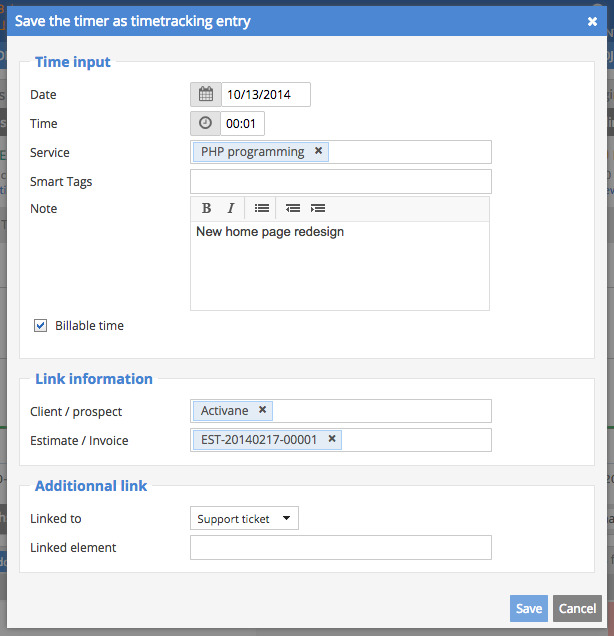 Why should you use time tracking? How do I log time on the mobile app? How do I generate a timesheet?